Chinatown Tales illustration series makes it’s very first exhibition at the Get Lucky Show. Written by Carson Ting. Posted on February 7, 2018. Filed under Blogging. Tagged artshow, chinatown tales, get lucky. Comments Off on Chinatown Tales illustration series makes it’s very first exhibition at the Get Lucky Show..
Our Chinatown Tales illustration series will be on exhibition for the very first time at this year’s Get Lucky show, hosted by District Local. 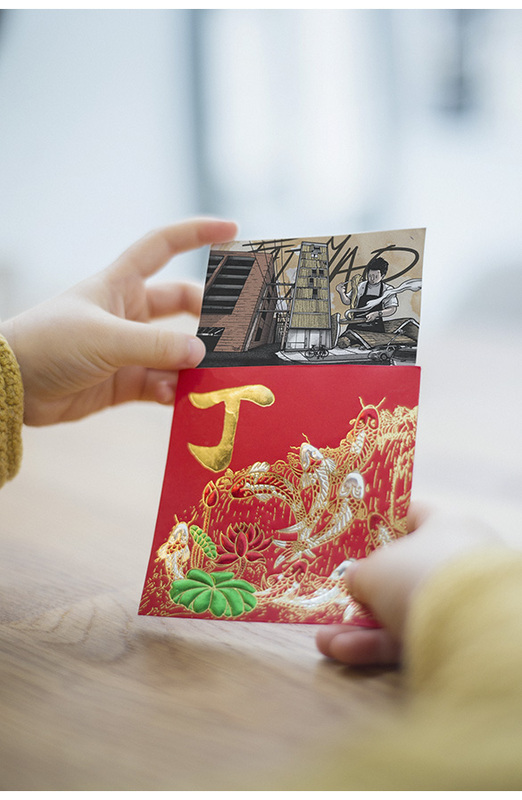 In celebration of Chinese New Year and the Year of the Dog 2018, the show will debut a whole line up of awesome local artists creating their own lucky red envelopes. The Get Lucky Art Show will happen on Sunday, February 18, 2018 from 11am – 4pm. At the Fortune Sound, 147 E Pender St, Vancouver. Big ups to our awesome daughter, Audrey for being our hand model for this shoot! And here’s a little fun fact, the Chinese character that looks like the letter ‘J’ on the envelope is our last name in Chinese. Hope to see you all there on the 18th!